We look at our tasks holistically. 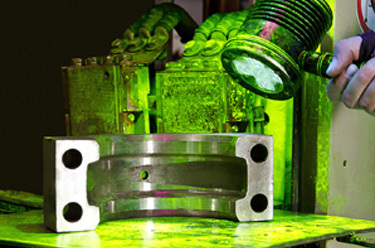 This includes manufacturing drop forgings of the highest possible quality whilst at the same time considering the environment throughout the whole production process. This can be seen in the ISO 9001 and ISO 14001. We are proud of the fact that since as early as 2001 we are allowed to hold the Deutsche Bahn AG’s certificate, the so-called HPQ (Manufacturer-related Product Qualification) for rail track and for rail vehicles. Our high quality is based on consistent and interdisciplinary quality advanced planning. Quality is not just a product of chance. Our trained staff, paired with the necessary equipment, keep us focussed on the essentials and thus maintain our high quality level. 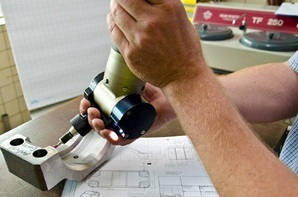 It goes without saying that every incoming supply of materials has to undergo spectral analysis and also that before a product is approved, as well as during production, magnetic particle crack detection is carried out. These high standards we set ourselves make us sure that we are the ideal partners particularly in the sensitive area of safety relevant components.